You already know we are big on a holistic approach to fitness so this is just another way we want to keep you motivated on your fitness journeys. 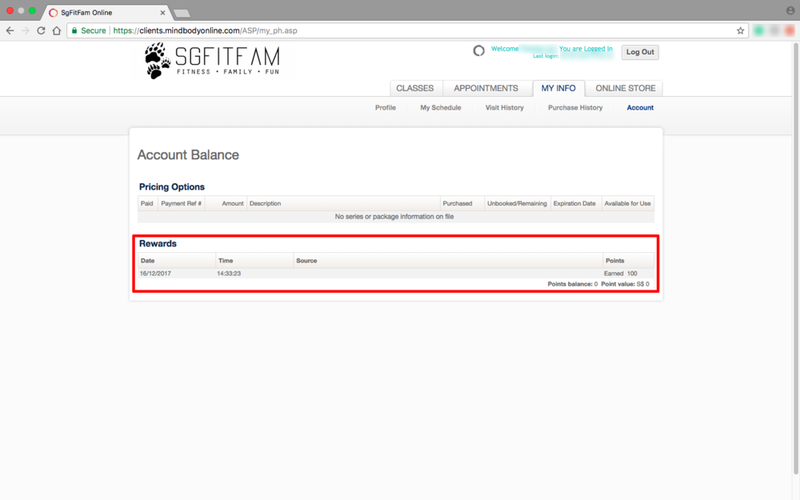 As a big 'thank you' to the SgFitFam-ily, we have created a loyalty program to help you get more out of your workouts. For every group class or PT session you book and complete, you are eligible for rewards. Do you like our approach to fitness? Be rewarded when you help us grow the SgFitFam-ily! Points are automatically credited into your Mindbody account and can be used to offset future purchases right away. Gina Chan, founder of SgFitFam a.k.a. Mama Bear will personally help you out with a one-hour PT session. Contact us to redeem and book in advance.